Choosing the right plastic part fabrication company can mean the difference between quality and an endless array of problems you’d rather not have. We are plastic specialists, bringing more than five decades of combined experience to every job we take on, assuring you of top-quality results every time. We work with a wide range of plastic materials and can advise you on the best choices for your unique purposes. We can help you choose exactly the right material for your needs, one that will deliver durability and value, no matter what the part is intended for. A quality end result needs quality precision parts, there are no two ways about it. No matter what industry you are in, we can deliver the quality and integrity you need to ensure that your product is an extension of that dynamic. In short, we take great pride in delivering the best possible parts, machines, and tooling for your needs and that is a promise we intend to keep. 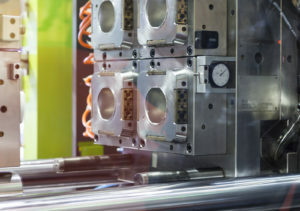 With so many years in the business, working with plastics every single day, our engineers are deeply experienced in just about every type of plastic material and its ideal application. Plastic, unlike metal, is more prone to change under certain conditions. Knowing what the normal working conditions will be will tell us more about the effect these conditions will have on a particular type of plastic. This will help us determine the best possible plastics for your needs, extending the lifecycle and viability of your parts and ensuring maximum value for your dollar. Thinking about converting your metal parts to plastic? 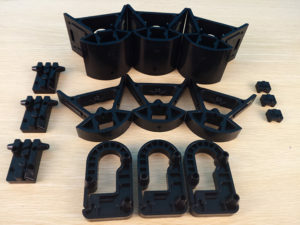 In an effort to reduce costs from various different products, many manufacturers have converted their metal components to plastic parts where possible. Done right, this can result in reduced cost, waste, and the weight of the final product – all desirable outcomes to shoot for. Converting metal parts to plastic parts can, in many cases, accomplish these goals. However, if you are thinking about doing so, it’s important to partner with a plastic part fabrication company that can give you the right kind of advice. Knowing the answers to these questions will help us narrow down the specific type of polymer that is best for your needs. Doing some of this legwork up front will save time later on as your part will be guaranteed to perform better and to be able to withstand any unique conditions you might throw at it. This is especially important when switching from metal to plastic, as metal does not have the same qualities. We also work with a range of eco-plastics, which are preferred for use in food or beverage applications. Plastic fabrication can encompass several different processes beyond the creation of the part itself. Westpoint Tool and Molding offers end-to-end plastic fabrication to meet your needs. From gluing and bonding plastics to multi-layered plastic assemblies, formed and bent plastic parts, heat staked inserts, manifold assembly and more, we process and assemble everything in-house to maintain our high standards of quality control. All fabricated plastic parts go through a rigorous testing process to ensure quality and viability. Due to the malleable nature of plastics, it is important to measure tolerances to ensure the most accurate measurements possible. In cases where parts and materials need to be compliant, it is important to have confidence that the parts will do what they are supposed to do – without fail. Get started today: call to set up a conversation. We’d love to learn more about your plastic part fabrication needs.